As so often the case, chance and a bit of luck played a big role in my discovery of the following hitherto unknown instrument. 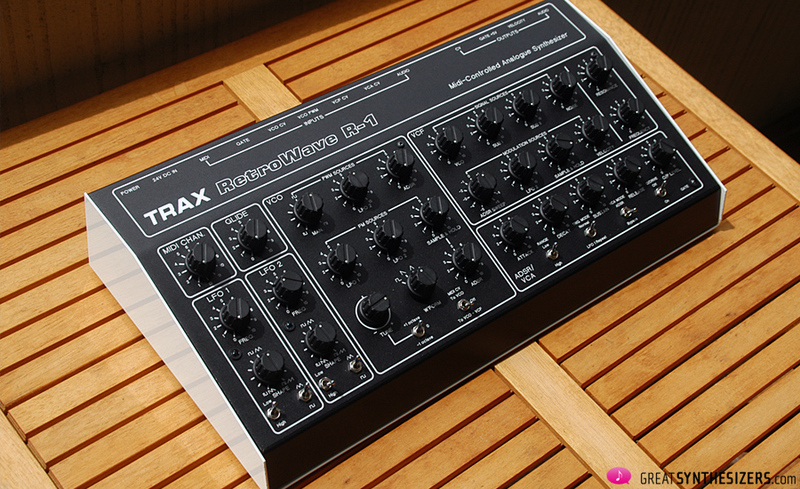 It’s the beginning of May 2013, and a routine visit to eBay brings me eye to eye with the Trax RetroWave R-1. 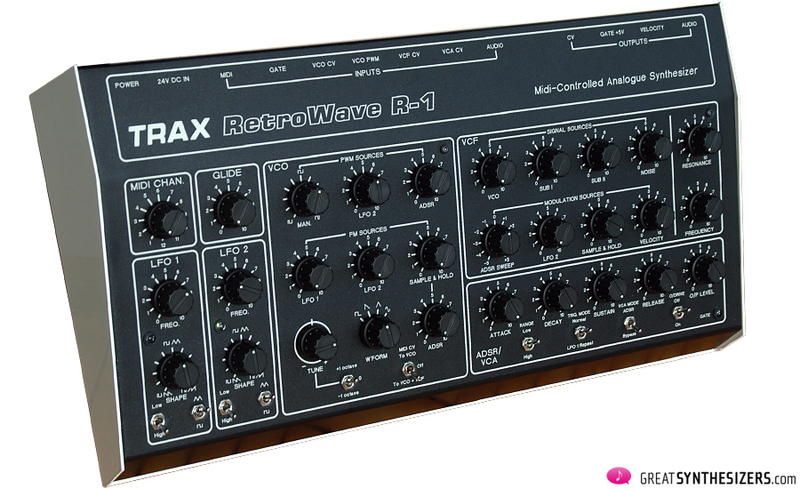 A quick search for the website, contact with the selling agent, and within a few days the Trax RetroWave R-1 was settled into my local studio. These are among the most popular Trax Controls products. Oh yes… and there’s a Handheld Walkabout Controller (whatever that is), too. 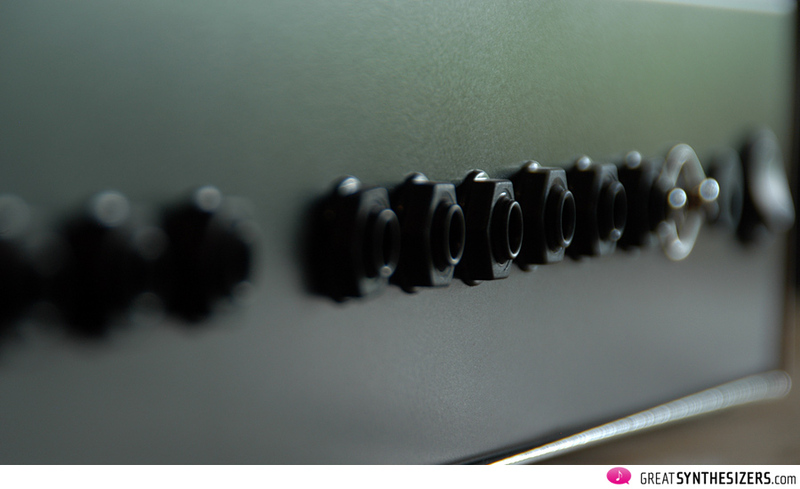 Then there are a lot of little parts such as switches, knobs, bulbs, cords and plugs, fuses, etc., to cover electronic needs. In the midst of this colourful assortment of this and that, the RetroWave R-1 Midi-Controlled Analogue Synthesizer seems completely out-of-place, at first guess an odd conglomerate of all those little parts which maybe even put themselves together. But no, the RetroWave is for real. And it’s really good. 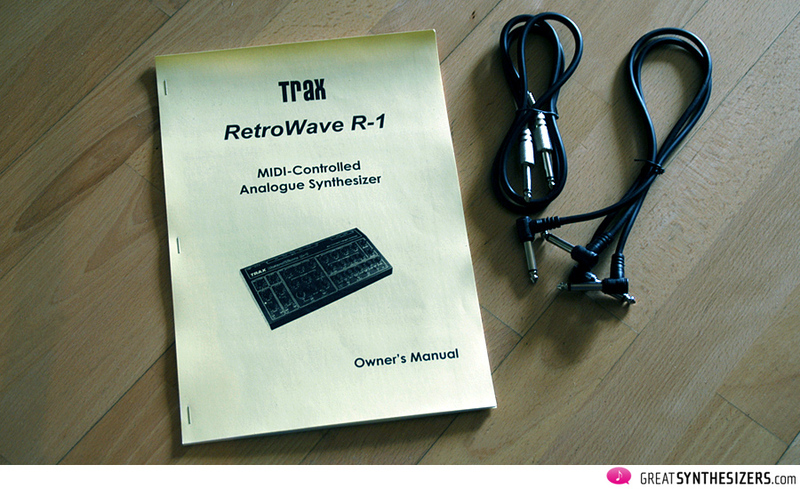 The RetroWave comes equipped with a power supply, a 26-page handbook and 3 patch cables. The power supply itself comes with a choice of plugs at the user’s disposal. The instrument’s 24V socket is good for a surprise: it’s a little stiff. Plugging-in has a funny feel to it, as if the plug (very unlikely) or the socket (more likely) were warped. But in fact, this is a wise precaution to ensure that the plug-in really fits snugly. Unplugging also requires an unusual amount of „pull“ — that tiny bit of extra resistence is clearly felt. The big advantage of the rather tight but perfectly fitting 24V plug is that mistakenly pulling the wrong plug doesn’t necessarily mean the synthesizer will be disconnected. 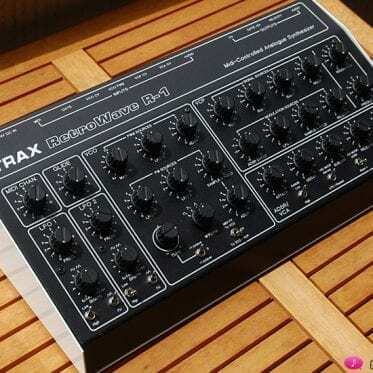 Delivery with patch cables (1 long, 2 short) is a thoughtful Trax Controls extra, emphasizing the fact that the RetroWave is not only an independent stage/studio synthesizer, but — above all — an „open“ instrument to be used with modular systems and control units. The RetroWave looks very appealing, embedded in a metal chassis with beige cheeks. What sets this desktop synthesizer apart from other desktop synths of our time is its size. Whether Doepfer Dark Energy, Vermona Mono Lancet, Moog Minitaur, Waldorf Rocket or anything else … all of these tools are “minimalistic” in design. They offer many possibilities, but are admittedly designed as small as possible. Not so the RetroWave. Its size allows for a panel with lots of space and large buttons. The instrument’s appearance is roughly equivalent to that of an Access Virus (rack). 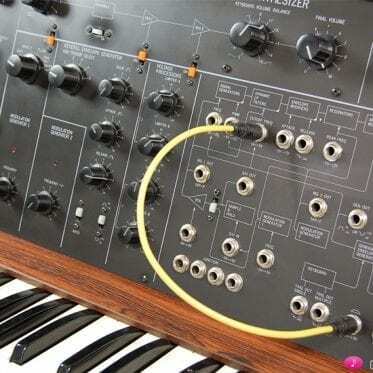 The pots have a diameter of 1.5 centimeters (at the top, the base is even wider), that’s almost Minimoog format. They fit perfectly in your hand, are crisp and feel masculine, as you would expect from a good studio or stage instrument. The CV ins/outs are all 6.3 mm jacks. Eurorack modular users might frown, but simple converter cables aren’t difficult to acquire, are they? Patch cables with 3.5 mm on one side and 6.3 mm on the other side probably belong to the standard repertoire of every modular system owner. Bigger sockets are actually an asset, their size guarantees professional work processes. Plugging and unplugging is “not” fiddly, the jack labels are accordingly large and easy to read. 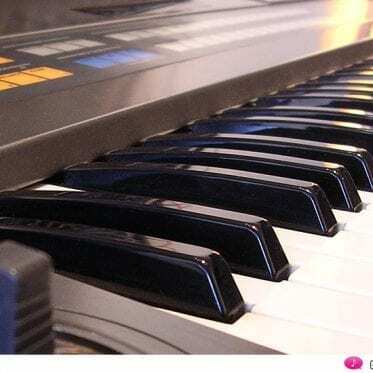 The connections, potentiometers, switches and the entire exterior are witness to the fact that no part of the RetroWave is tricky, too small, or otherwise too minimalistic. In short: The instrument’s design concept and user interface is excellent. Now, let’s talk about the pulse-width modulation of the VCO. Turning the PWM source MAN control will change the square wave sound character, as everybody knows. Full left and full right end up in “no sound at all”. We love those creative areas between sound and no sound. Great for experimental and subtle colors. But be careful: if the MAN knob is set fully left or fully right, the sub-oscillators won’t sound neither. So, if it seems as if the instrument were dead, then this could be the simple reason. The pulse wave shape can be varied manually while playing, or automatically by the Low Frequency Oscillator LFO 2, and/or the ADSR envelope. An external PWM source, e.g. an analog step sequencer, can also be applied if required. The PWM function only works on the square wave output, and does not affect the Sub-Osc I and Sub-Osc II outputs (which would have been great, by the way). OCTAVE I, SUB-OCTAVE II, NOISE and an external audio signal (unfortunalety, there is no level control for it). control voltages applied to the filter (via the MODULATION SOURCES mixer) can be combined, together with the external VCF CV input. 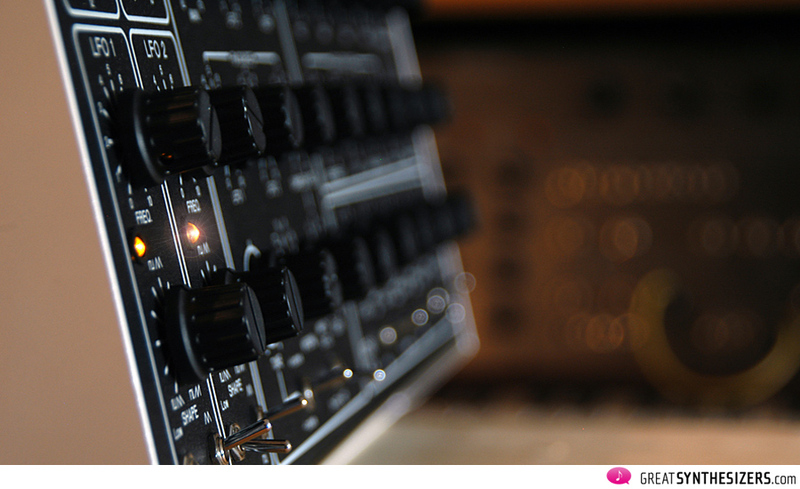 ADSR sweep (positive and negative), LFO 2, sample & hold and velocity are the filter FM sources to choose from. The filter resonance is the source of thousands of brilliant sounds. 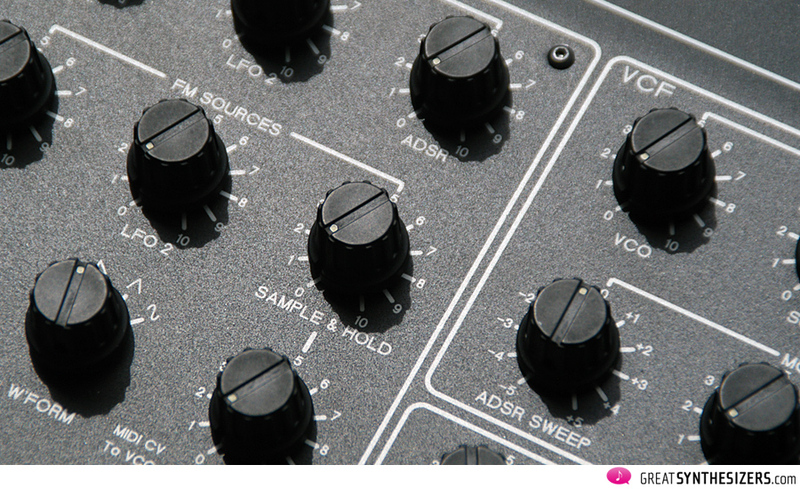 Sample & hold, for example, is recommendable in assoziation with the RESONANCE control near or at oscillation setting, and is particularly effective with white noise. High resonance settings produce beautiful overtones, something we tried to demonstrate in the soundfile “filter resonance 2”. Listen to it! One more word about sample & hold. It’s a conglomerate of LFO 1 (clock) and an audio source. This is an important feature, since LFO 1 is also able to auto-trigger the envelope. As such, it is possible to create stunning sequences in no time at all … switch ADSR retrigger to LFO 1, turn up the sample & hold filter modulation … now add some ADSR FM modulation to the VCO (the oscillator receives a one-shot waveform with each trigger) and off you go … it’s pretty easy and it sounds pretty good, too! 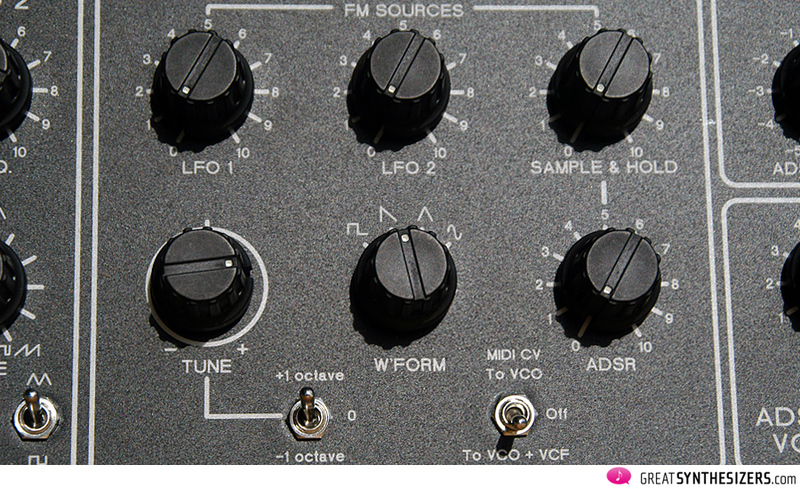 LFO 2 – one of those filter FM sources – has a frequency range of up to 170 Hz (same as LFO 1, by the way). At 170 Hz you’re able to create good vocal sounds and other special effects. 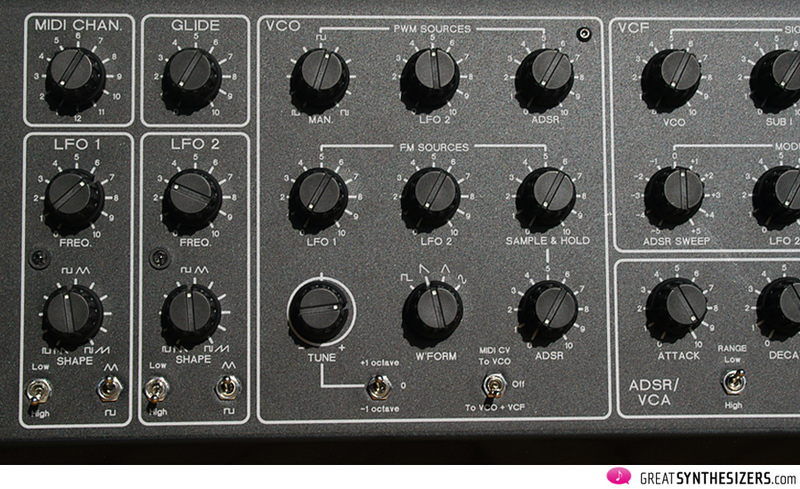 Well, to be honest, a high-end LFO goes straight up to 1 kHz and more … anyway, in case you want to use one of those extraordinary professional modulation oscillators, you can simply connect it to the rear VCF CV input. 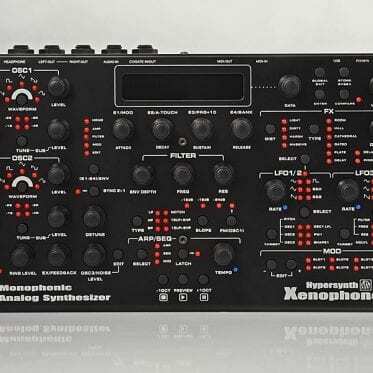 We’re thinking of a wide-range Doepfer A-100 LFO (there are many to choose from) or an Analogue Systems RS-80 (or RS-85) VC LFO or something similar. The O/P Level is a basic volume control for setting the output level of the unit. 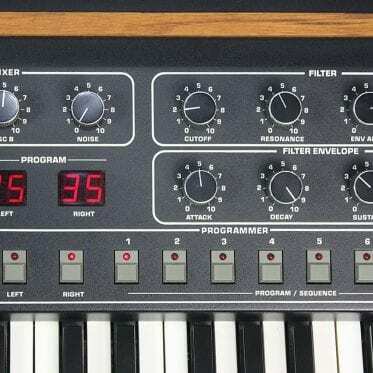 Useful if the synth is to be used with amps that have different input level requirements … and something we really missed on the Waldorf Rocket. The RANGE switch allows you to select between short and long envelope ranges, so you can adjust the sound exactly according to your music. We already mentioned the Trig. Mode switch, which lets you choose between Normal triggering (by MIDI gate or analog gate source) and LFO1 Repeat, which, as its name suggests, enables the LFO 1 square wave output to continuously trigger the ADSR. The latter is – once again – very interesting, especially in combination with the sample & hold effect. 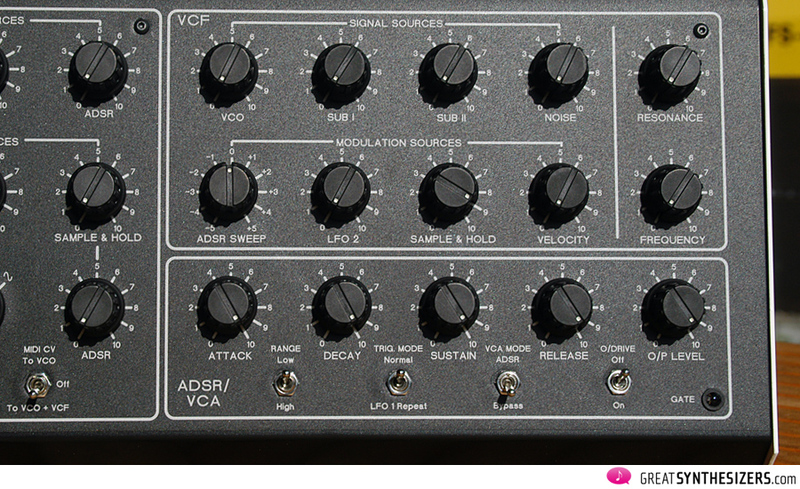 Finally, the VCA MODE switch enables you to select between the normal ADSR function and VCA bypass. Bypass is – in other words – a simple HOLD function. The VCA is then permanently opened, while the envelope can be used exclusively for filter modulation (and/or VCO modulation). Needless to say, this a true analog down to the very fibre. The sound files speak for themeselves … The RetroWave can be a source of great pleasure. 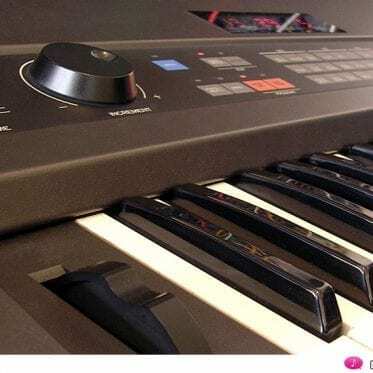 We’d prefer it to several other low-price instruments on the market, bearing in mind that music can be made on it and whole new facets of sound are there to be discovered for a very long time. Bearing in mind too, that countless knobs allow direct access to all parameters and that you get an instrument with MIDI and CV/Gate. There are three things Trax could do to improve the RetroWave. Whereby we choose to ignore the bright diodes and limit ourselves to the practice of music making. But back to the RetroWave. One disadvantage of the admirably extensive TUNE function is that there is no mid-point lock. Which means finding the 0-point is hit-or-miss and you’ll likely miss on the first try, which would seem to nullify the use of TUNE as a heavy duty pitch bender. Naturally, the knob in question is the same as those used for all other RetroWave functions, so the manufacturer’s aim at design efficiency has been fulfilled. But the musician’s needs can only be fulfilled with a little notch at „0“ and with a lock at mid-point. That would do it. Our second point concerns MIDI. Here there is no data available aside from MIDI channel, note and velocity. So no pitch-bend information, which is too bad considering the other lead synthesizer qualities of the RetroWave and the fact that a pitch bender is among the most important controllers in a live performance – especially keeping in mind that the tune knob mentioned above is no real substitute. 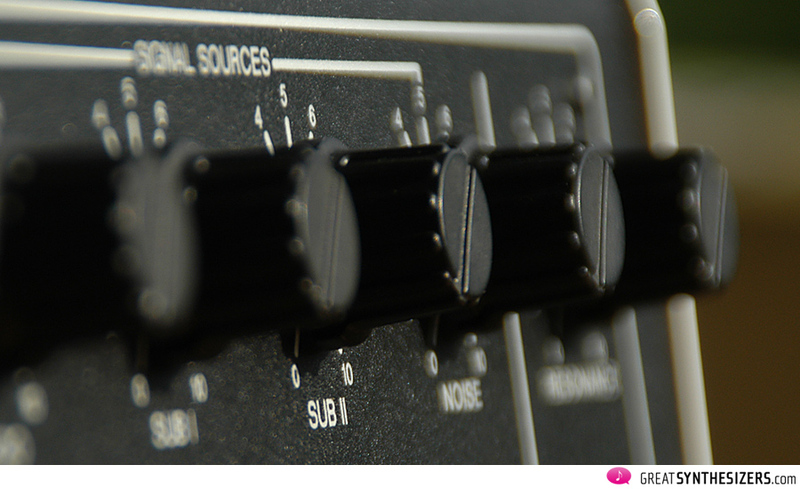 By the way, MIDI channels can only be set from 1 to 12, although strictly speaking this cannot be seen as a criticism. 12 available channels should be enough for any studio. Our third point is probably the most awkward to explain. There is a little buzz in the outsignal of the VCA. I’ve no idea why, it’s only when the amplifier is on, that is, when sounds are being produced, that it can be heard. But here especially with very quiet sounds. As soon as the filter is turned on to full, that little buzz and the likes of it disappear. We are simply implying the the VCA (or audio mixer) doesn’t function perfectly. Purists might see this as something inherent to analogue sound character. But of course, that’s not the point. The overdrive function is useful (though not the instrument’s big highlight). 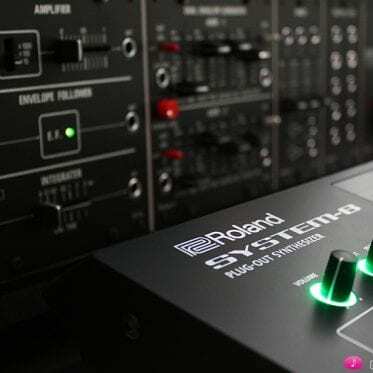 And the flexible modulation possibilities (2 LFOs, sample & hold, ADSR, external CV inputs, Midi velocity) turn the RetroWave into a fully equipped, powerful and versatile analog monster. Last, but not least, there’s CV/gate/velocity output (! 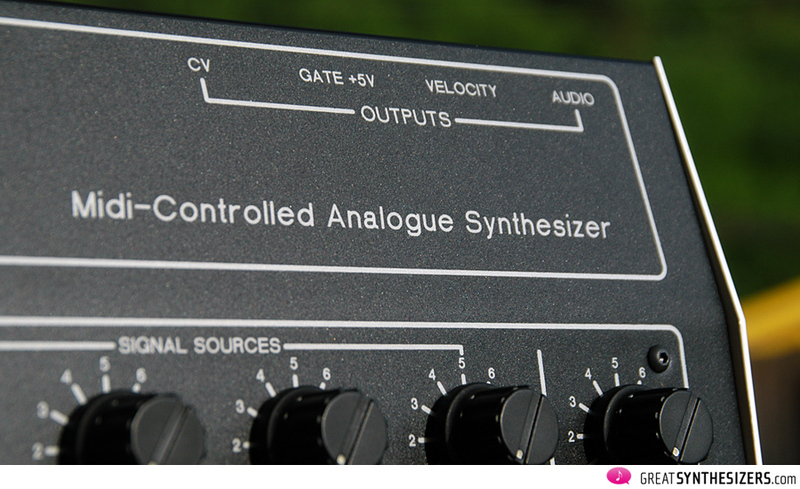 ), for controlling other synthesizers that utilize the 1V/octave system. You can also return the velocity output directly to one of the RetroWave’s CV inputs – PWM or VCA CV in, for example … Great stuff. The Trax RetroWave is a joy to use. Everything is generously placed, large knobs, big jacks … The combination of MIDI and CV/gate is very useful and really excellent. Although some users could miss MIDI Thru, we prefer to enjoy the existence of additional control possibilities via external inputs (VCF, VCA and PWM CV inputs), which makes for an optimal working situation in combination with modular systems in a studio. And yes, don’t forget Audio-IN. For external signal processing, in which case the RetroWave naturally becomes a luxurious filter module. To sum it up, the RetroWave sound is very appealing, meaty, lively and powerful. This is a British desktop synth – handmade and of the finest quality. Thanks for your good review and the quality of your audio demos ! receive it next week ! Hurrah ! Great review! This synth checks off a lot of boxes for me for a desktop analogue synth. 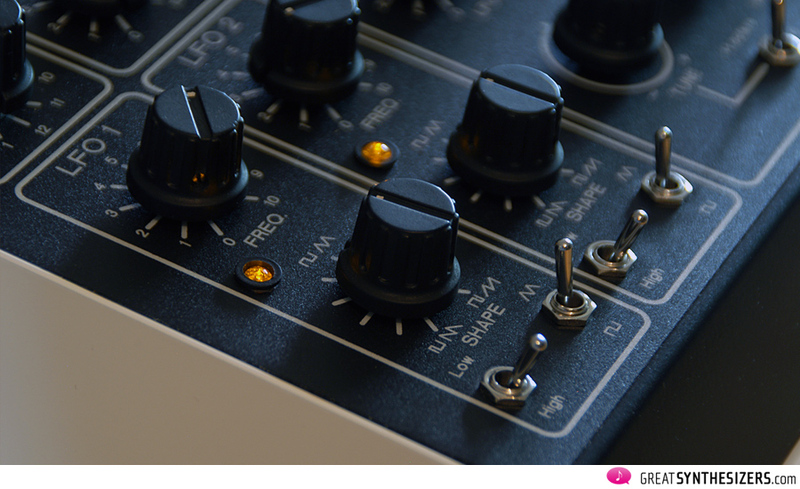 2 LFOs are an absolute must, and I the variable LFO waveform is extremely appealing. I loved those on my MS-10. Great build quality to top it off, I really may get one. But believe it or not, super bright LEDs really bother me on any gear and are constantly annoying/unpleasant. I typically end up placing electrical tape over them, but maybe Trax will change the LEDs by the time I buy one (hint hint). There’s no need for them to be bright! 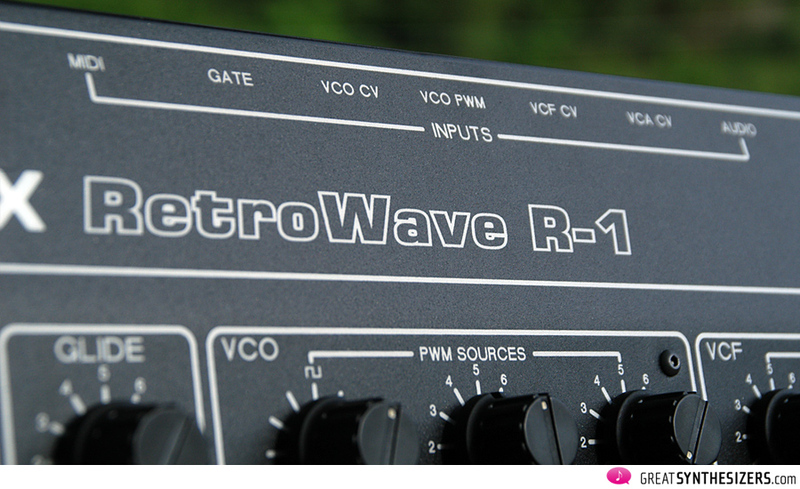 I bought a RetroWave R1 after coming across this great review and sound samples. 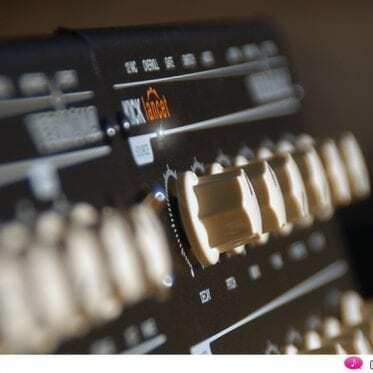 It’s my first true analog synth and I find the sound always inspiring – I can spend ages just playing around creating different atmospheric leads, basses and unusual rhythms. It has loads of character and full sound, which is what I was after. 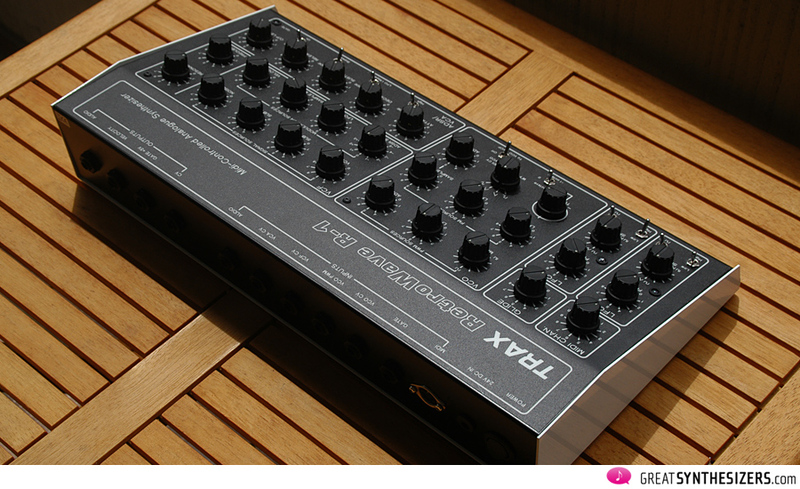 Perfect little starter analog synth, especially for the price! for the demo of Filter distorsion (before PWM Sequence 2) it’s only with the retrowave? done once or two tracks mixed in a sequencer ? What effects units are used on the samples above please? … there’s only one unit in use for delay-effects. It’s the Lexicon MPX-100. 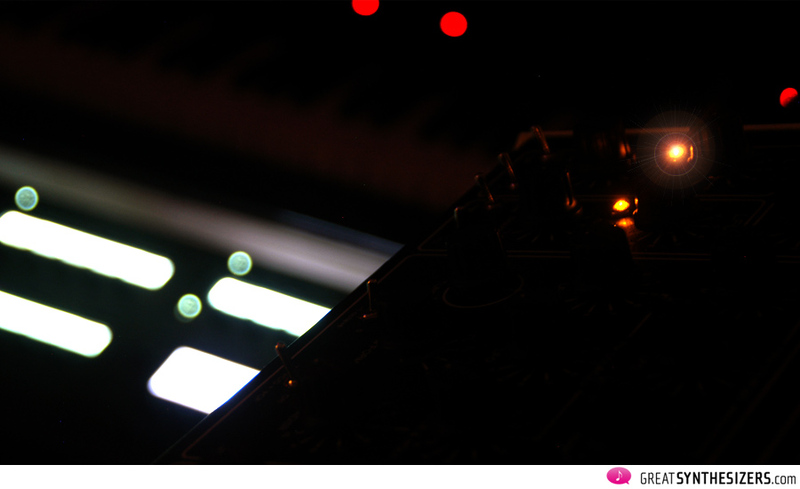 Other gear: synthesizers – John Bowen Solaris, Sequential Prophet-5, Roland JP-8000 (whistle sound on “Rhythm Trax 2”); drums – Korg MonoTribe, Roland TR-808 (also for some RetroWave triggering); analog sequencer: Analog Systems RS-200; audio recording & mixing: freeware Audacity. I got the revisited version of the Retrowave and it’s awesome. Customer service is excellent. The parcel and the case of the synth got damaged during the delivery. 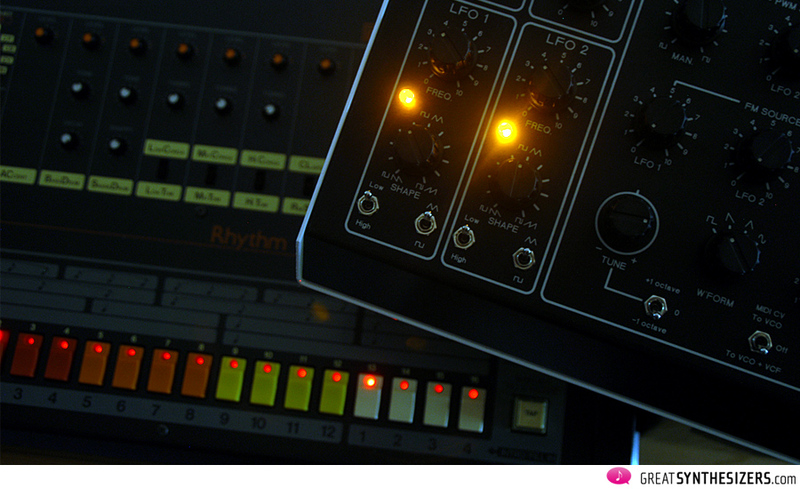 I mailed to Trax, sent them the synth, got a new case and one week later it was back. Very quick. Very friendly. They paid the whole shipping expenses. 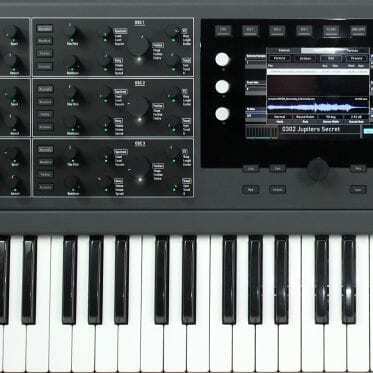 Fantastic synth, but I have to learn some synthesis-theory now :) Thanks for the review and the very very good sound examples. I really enjoy your blog! A cracker for a very reasonable fee, plenty of cv in and out, midi to cv, free cables (take note other builders) are a small but thoughtful addition. Lots of modulations. Really how there are not more of these out there I’ve no idea, compared to the minibrute this is a steal. Boutique, and made in England! What more can you ask for. £325!!! Yes £325. … a fantastic instrument – great sound, great value! Hey Theo, is it high or low note priority? Or can you decide? Thanks . 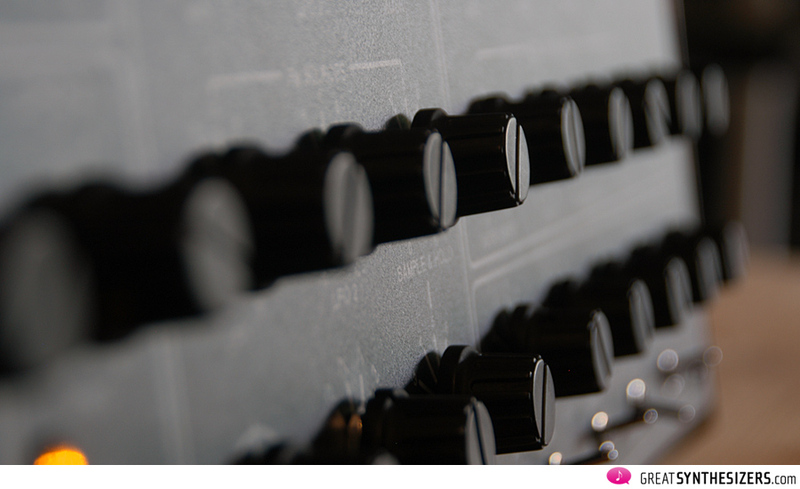 Beautiful analogue sound pours effortlessly from this synth. The sound reminds me of early Human League and experimental music by the likes of Peter Zinovieffe. For the price these are it is an absolute steal. I would love a version that is upright standing and slightly tilted back to show the controls. 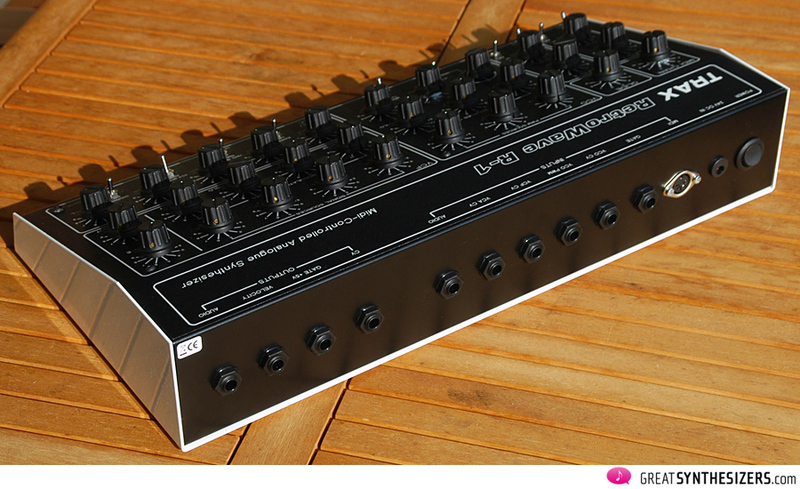 Great synth, great price and full analogue and built like a tank. get one before they are not made any more and become collectors items. hey. 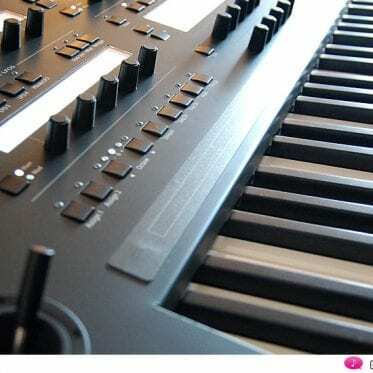 am i correct in saying there is no midi cc control of parameters? Love it … Had mine for a few years now and its done a fair few circuits free party’s / festivals … for the price its a steal … very easy to use and robust …. Is it possible to sync the lfo’s via gate or midi? Theo! Now that I’ve had the Retrowave for several months just wanted to say, wow, I agree with all you say about it (although the bright LEDs seem fine to me …)! And now that I know the instrument a little bit, it’s really interesting to listen to your sound samples, I can hear your hands on the knobs, etc. So your demos are very much a tutorial about the instrument. Really, this rather inexpensive beast is a steal. And it’s wonderful to have a synth from a small independent who’s making it to their own standard and aesthetic and not to match up to industry expectations of the moment. It sits very nicely next to my GRP A2, and they both sound great together. With just a lowly SQ-1 to drive them there’s much that those two offer as a pair. … Trax Retrowave, GRP A2, Korg SQ-1 … quite a unique combination (o:)!